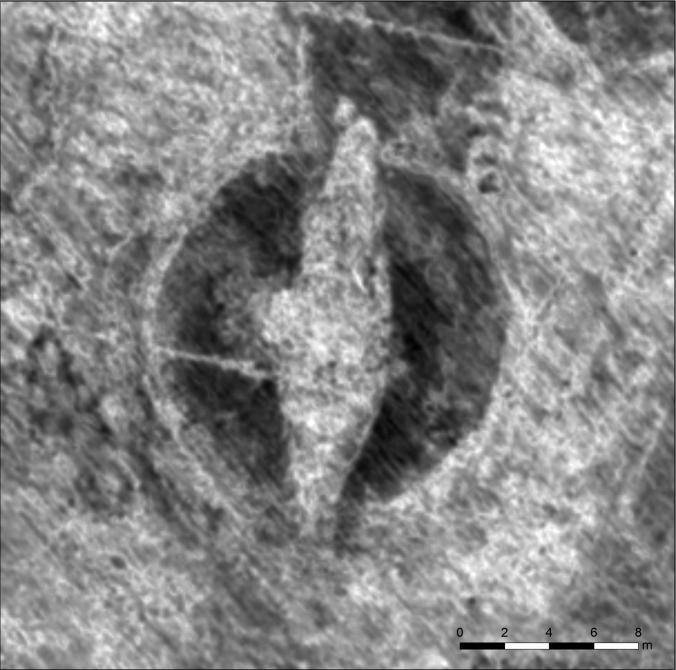 NIKUThe Viking ship detected just over a foot underground in Norway. 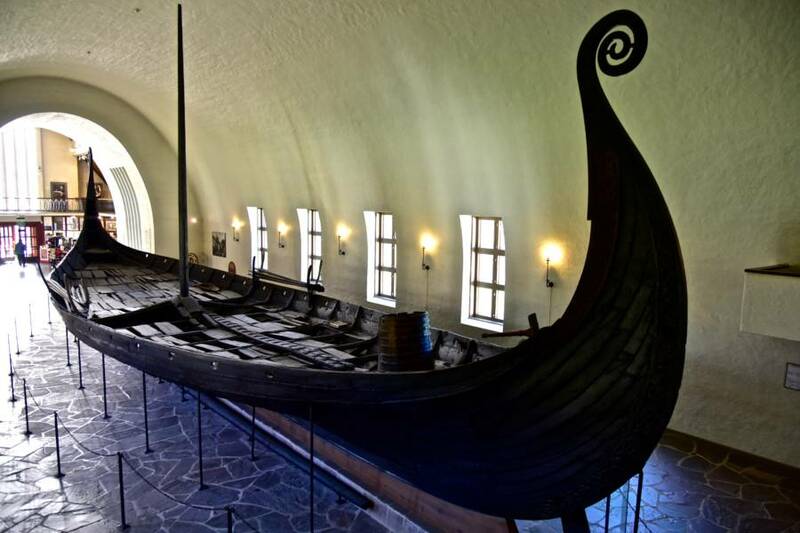 While archeologists scanned a well-known site in Østfold County, Norway, they discovered a 65-foot Viking ship buried just 20 inches beneath the earth’s surface. The ship was likely buried some 1,000 years ago as a grave for a prominent Viking king or queen. The location of the ship is not far from a local landmark— a 30-foot tall burial mound. Archaeologists previously assumed that turn-of-the-century and modern farming practices had obliterated any evidence of such ancient artifacts. They were wrong. The radars used at the burial site detected the outline of the ship containing some ten graves. As it has yet to be excavated, there are still details which remain to be seen, namely, where the ship came from, how old it is, and how much of the ship has remained intact. Though archaeologists speculate that the keel of the ship appears preserved as wooden timbers are visible from the radar. But the context in which the ship was buried could provide insight into what the significance of such a graveyard was in Viking culture. 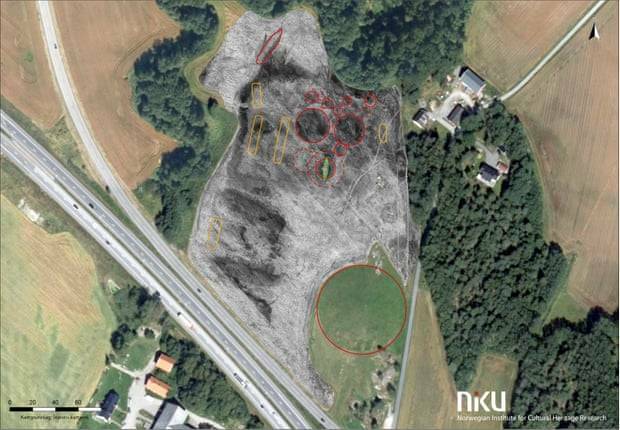 NIKUThe burial ground that was scanned using a radar in Norway. “The ship burial does not exist in isolation, but forms part of a cemetery, which is clearly designed to display power and influence,” Lars Gustavsen, an archaeologist with the Norwegian Institute for Cultural Heritage Research (NIKU) said in a statement. 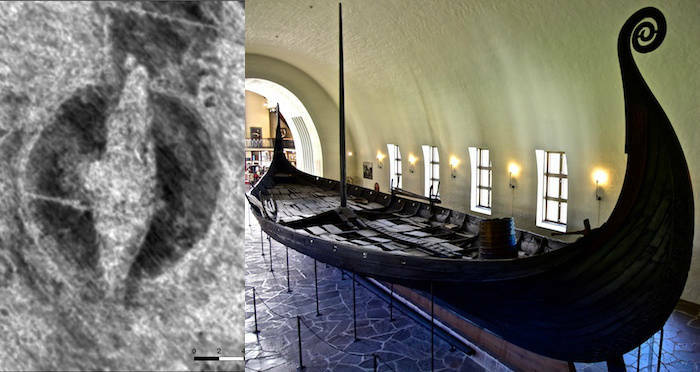 Aside from the enormous ship, the radar also detected five longhouses buried at the site, which were timber-framed halls used as communal housing for the Vikings. Currently, there are no official plans to excavate the ship, but Paasche says that he hopes to come back to the site in the Spring of 2019 in order to conduct more sophisticated scans. Paasche and his team might also dig up test trenches to figure out what condition the ship’s remains are. Wikimedia CommonsA Viking ship replica. Although archeologists are limited at the moment in what they can test and share about this particular discovery, it’s still a valuable find. Indeed, perhaps some Viking royalty can also be uncovered within the ship’s burial grounds. Next, check out this story about Viking skeletons which were discovered in Sicily. Then, learn more about the Vikings and their culture through these 32 interesting Viking facts.